Three-dimensional printers have not only entered the food realm, but could also make printing meals an affordable reality. This is what the XYZPrinting 3D Food Printer, shown off at CES 2015 in Las Vegas, is expected to achieve once it is mass produced. The company’s latest model promises to stretch the boundaries of creative food making, as it allows to print any style of uncooked cookies and other dough-based pastries within minutes. Reviewers have raved about the taste of the printer’s food. 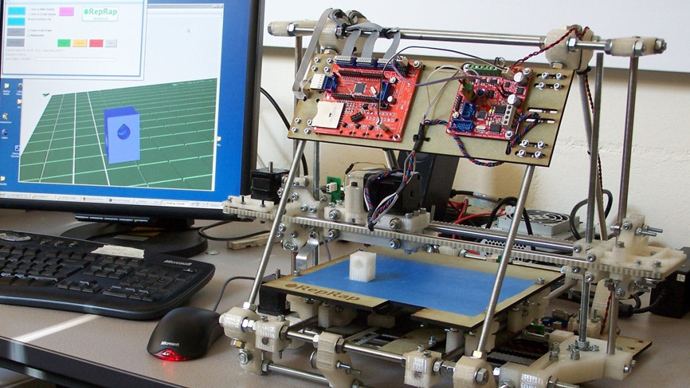 The printer is set to be one of the first food printers to be mass produced. Consumers may be able to purchase them in the later half of 2015. The exact price has not been set yet, but estimations range somewhere between $500 and $1,900. 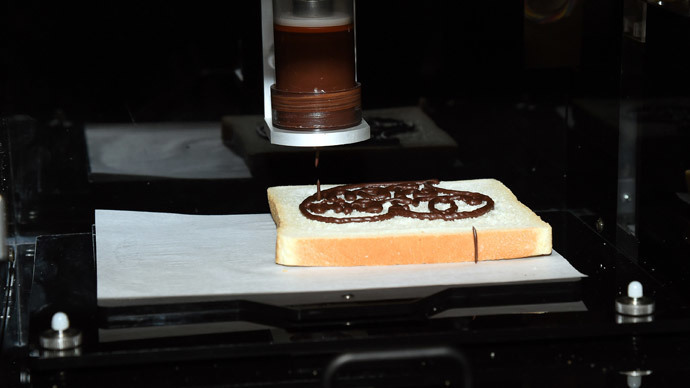 The ingredients that the printer can use include chocolate and dough. For now, the printer can only produce pastries or cake decorations. The 3D cookies and decoration designs are stored online and are downloaded onto the printer, which can easily interact via USB to Windows 7 and 8 and Mac OSX systems. The company says all of the designs and ingredients are approved by a special food guru. The size of the printer is about the same as any all-in-one printer. The process is said to be very simple, involving only one touch of a button. The size of the printed food can go up to 7.8 inches (19.8 cm) by 5.9 inches (14.9 cm) by 5.9 (14.9 cm). This is the latest development in the raging 3D printing revolution, which has already enabled astronauts to print spare parts in orbit via an email, allowed a six-year-old boy to replace a missing arm for just $350, and helped a disabled dog experience the joy of running. What is more, a Chinese company has already started using 3D printing to build up to 10 houses a day. Meanwhile, Russian scientists have promised to unveil the first living organ created with a 3D bioprinter, and a US firm has put on sale a milling machine that allows to print and assemble a steel AR-15 rifle at home.